Running a theme park must sure be tough. You have thousands of people storming the gates with the anticipation for fun, a host of mechanically massive thrills that are all safe and sound (for now) and just acres of space to police and patrol. So adding real-life dinosaurs to that equation seems like lunacy, but in Frontier’s Jurassic Park: Evolution, that’s exactly what you’re going to be doing. And I wouldn’t expect things to go as calmly as the latest trailer suggests. Following on from the cinematic trailer that revealed the game during Gamescom, this latest look at Frontier’s simulator coming next year is all about the main attraction. You’ll get up close and personal with some Raptors, T-Rexs, Triceratops and more as Frontier shows off their recreations of the films splendours. And they look pretty great so far, when they’re at least not trying to tear down the fences between them and your visitors. Evolution is going to be all about managing your park, both from a thrill-seeking and safety standpoint. Accidents will occur, and how you manage them could be the difference between a small blip in operations or having your own film about how spectacularly you failed at keeping your thousands of attendees safe. That how these things work right? But being a video game and all, perhaps it’s not too terrible to see what happens to that jerk that keeps cutting in line on the best ride if he happens to come face to face with an uncaged velociraptor. Nothing terrible, no. 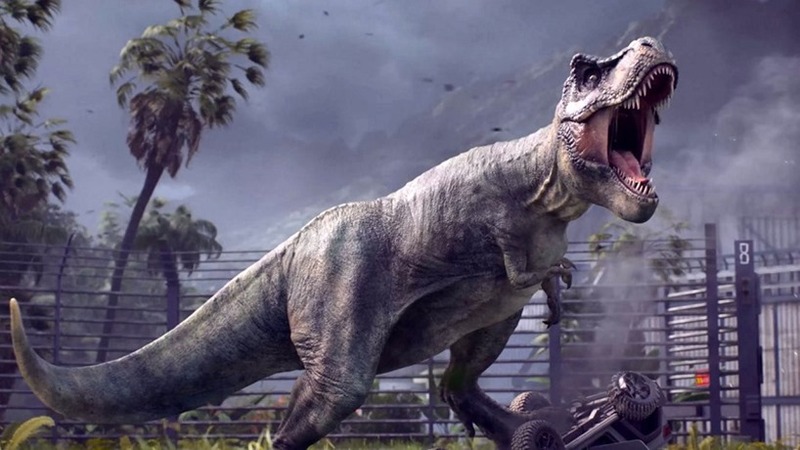 Frontier’s Jurassic Park: Evolution is out next year on PS4, Xbox One and PC. Next article Denzel Washington is a lawyer who loses his way in the stylish thriller Roman J. Israel, Esq.